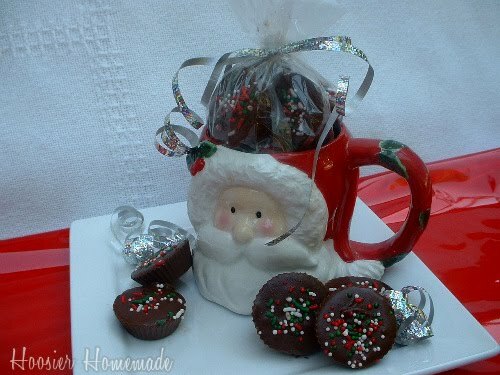 Amanda's Parties To Go: Christmas Recipes -- Yum! Every year around the holidays, I seem to throw all caution to the wind and eat just about anything (and everything) I want. You too, huh? I guess we all do. I just find so much joy in seeing a beautiful photo of food and then creating a huge batch of whatever the delight of the day may be...... and yes, of course, eating as much as I can without getting sick. So in my excitement to find more goodies out there on the web, I made a little bloggy list of my favorites and thought I'd share with all of you. Woman's Day has a wonderful assortment of holiday cookie recipes. I love this Christmas tree cupcake made from flattened green gumdrops. 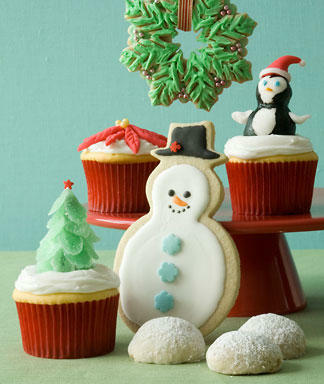 And I don't think my snowman sugar cookies would ever turn out quite like this, but a girl can dream, right? Butter Toffee from Peppermint Plum is the perfect holiday gift for neighbors and friends, although, I have to say, I don't think this one would ever make it out the door of my house as a gift. 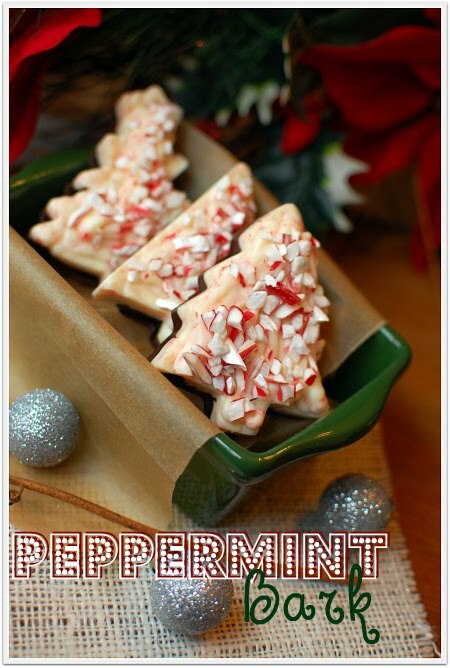 Tidy Mom has a beautiful twist on peppermint bark..... mold it with a Christmas cookie cutter to create a truly special holiday treat. I think this would be a perfect teacher gift. 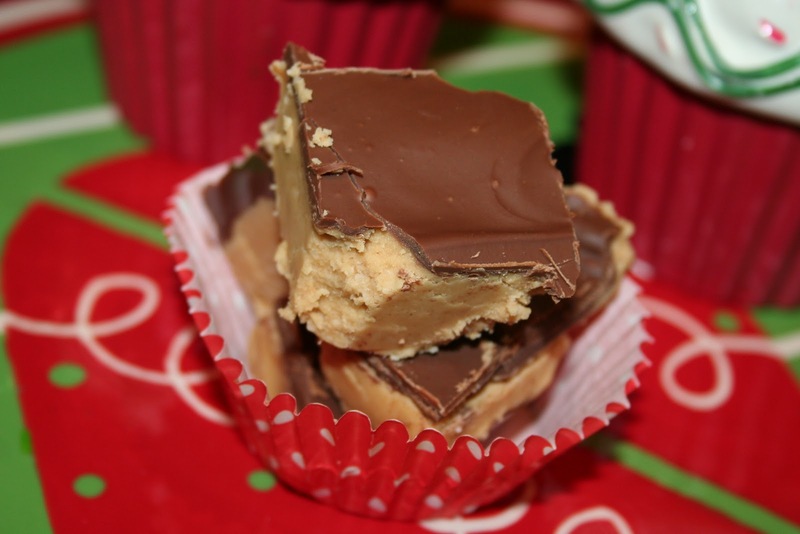 Homemade Chocolate Peanut Butter Holiday Cups from Hoosier Homemade look pretty yummy, too! My Computer is my Canvas has a great idea for some easy to make holiday treats using the new Hershey's peppermint kisses, M&M's and pretzels. 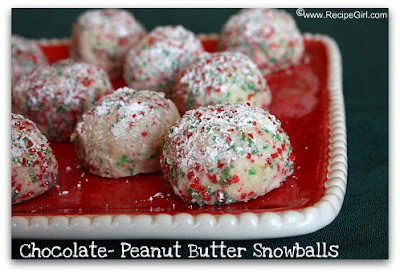 The Recipe Girl has some delicious-looking Chocolate-Peanut Butter Snowballs that would also be great as homemade gifts. Singing with Birds features a award-winning Betty Crocker recipe of Maple Walnut White Chocolate Chip Cookies that look amazing. And who doesn't like cookies on sticks? These Nutter Butter Santas from I'm a Mom, Not a Professional would make for a terrific family holiday activity. Edible crafts -- that's my kind of fun! 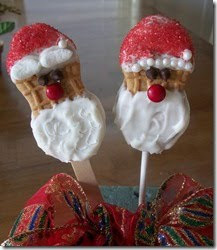 More food on sticks -- these adorable Santa's Belly Pops from The Decorated Cookie would definitely be a hit at my house. Fondant makes it easy to decorate beautiful cookies even if you're not an expert. Not really a cookie, but a cute Christmas treat nonetheless are these Peppermint Candy Lollipops from Muffin Tin Mom. 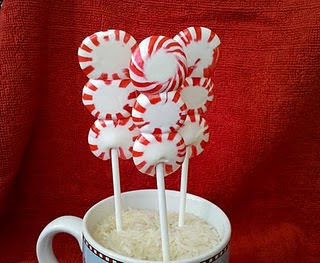 She just melts regular peppermint candies onto lollipop sticks -- how easy is that?? 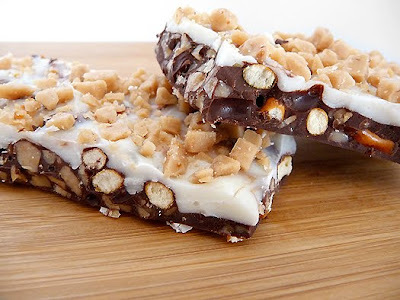 I'm crazy about toffee..... and chocolate..... well, quite frankly I'm a little crazy about anything that involves sugar, but doesn't this Toffee Pretzel Bark from Brown Eyed Baker look divine? Chocolate Peanut Butter Candy from Coffee at 3 is the end-all be-all for me. I swear I could eat the entire 8 1/2" x 11" pan of this stuff! YUUUMMMM! 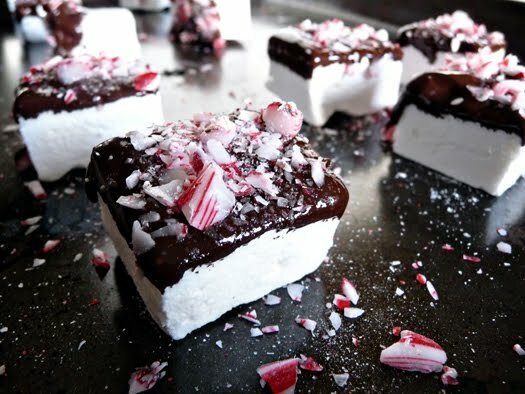 And these Chocolate Dipped Marshmallows from A Southern Fairy Tale aren't so bad either. Goodness, I love the holidays! Super easy and a crowd favorite, I think, is this White Chocolate Peppermint Popcorn from Skip to My Lou. OK, I'm stopping here. Sugar overload! I hope these treats give you some good ideas for homemade holiday gifts, and well, maybe an afternoon of sugary fun for you and the kids. Thanks for popping past my blog. Wow this Xmas food all looks so good. 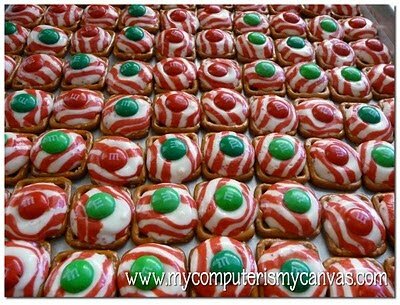 I made some yummy Xmas m and m cookies the other day they were grea. 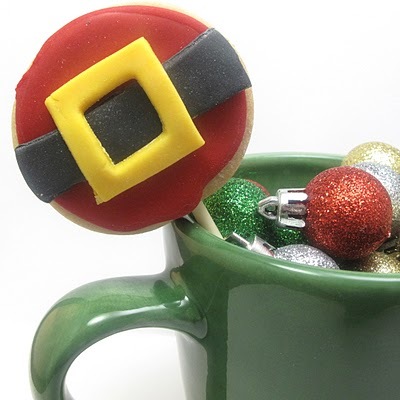 how do those starlight mint suckers stand up in the hot chocolate mug? It's nice that you describe such things.